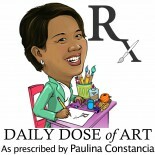 Hello and welcome to a new week on Daily Dose of Art! This week we look into the world of “Recycling Rubber”. But before we get started, let me tell you a tiny bit about rubber. These days the major rubber producing countries are Malaysia, Indonesia, and Thailand. But when I think of rubber, I always look back to my trip to Iquitos, a city in the Peruvian Amazon. My sister and I were surprised when our tour guide pointed to an Iron House (La Casa de Fierro) built by Gustave Eiffel. Yes, the same architect that built the famous tower of Paris. And so we learned that “in the course of its history, the city of Iquitos had a strong showing in the rubber boom (1880-1914), a period of large economic and social development that gave this city its unique urban and cultural identity” (Wikipedia). And believe it or not, there was a time when there was so much wealth floating around that the rubber barons printed their own private currency. Although it was just for a brief period of 2 years, still it demonstrates a point– that IQUITOS was, once upon a time, a very important trading post and financial centre in South America. 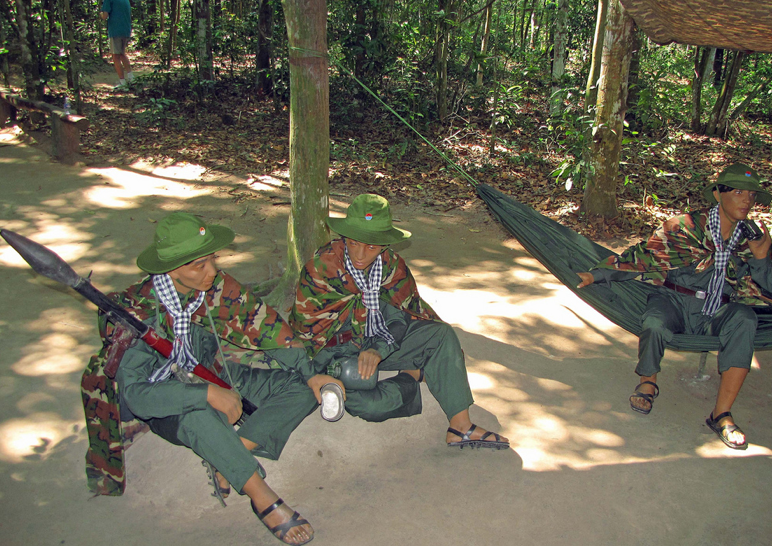 Long before Chaco and Teva sandals came into fashion, there was the Ho Chi Minh Sandals. What is it? 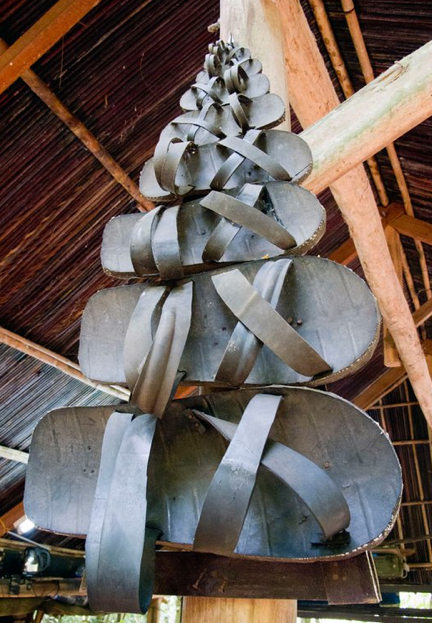 It is actually a symbol of the Vietcong Revolution in South Vietnam. More interestingly, it is an example of how the Americans inadvertently funded the Vietcong Revolution. What? Ok, here is how it happened. According to the guides at the Cu Chi Tunnels (a network of intricately connected tunnels up to three stories down built to fight the French and expanded during the American War) in Vietnam, the American G.I.s brought a lot of military jeeps with very sturdy tires. When the VC’s got hold of these jeeps, they recycled the tires as sandals and then issued them out to the peasant soldiers. They were great camouflage for the sandal prints were directionally confusing. At the Cu Chi Tunnels one can now see how they recycle the tires to the now iconic Ho Chi Minh Sandals. This entry was posted on November 18, 2012 by Paulina Constancia in Uncategorized.